What are Integrated Solar Panels? If you’re one of the many homeowners who wants to generate their own electricity with solar technology, but you’ve been putting it off because you don’t want to (or can’t) add panels on top of your roof, roof integrated solar could be your solution. Integrated solar panels are also referred to as in-roof solar panels. They are essentially the same as traditional solar panels which are installed on top of roof tiles or slates, but these panels are integrated into the roof, i.e. they replace a section of your roof with no tiles underneath. Integrated solar panels are designed to be weatherproofed and to be as strong as normal roof tiles but also include the photovoltaic cells to generate electricity for your home. Although sometimes referred to as solar roof tiles, integrated solar panels are not designed to look like roof tiles or slates and generally aren’t a complete roofing solution. If you’re looking for a complete solar roof replacement take a look at What are Solar Panel Roof Tiles? On-roof solar panels have a reputation as being bulky and unsightly and while more recent models are far more streamlined in design, integrated solar panels go one step further. As they’re installed as part of the roof’s structure, they sit flush with the roof tiles and blend in more seamlessly. Arguably a more attractive option than on-roof panels which could be of particular importance if you may want to sell your home in the future. Installing solar panels on top of tiles will add weight to the structure of the roof which could cause issues over time. With roof integrated systems no mounting frame is needed, a section of standard roof tiles are removed and replaced with lighter PV panels which means no additional weight is added. When the concept was first introduced to the market integrated roof panels were significantly more expensive than on-roof panels. However, as the technology has become more popular and more and more manufacturers are offering integrated solutions the costs have come down considerably. In addition, integrated solar is a less costly option than a complete solar roof replacement. While roof integrated panels can be retrofitted they are best suited to new build projects or roof replacements. This is because the PV panels are fitted at the same time as the roof tiles, meaning installers won’t need to walk on the finished panels which can cause fine cracks which only become noticeable some time later after weathering. Installing the solar at the same time as the roof means replacements are much less likely to be needed. As integrated solar panels are designed to sit flat with the roof and often in a similar colour scheme they are often more likely to meet planning permission in listed buildings or protected areas. In addition, as they’re not adding to the weight of the roof they may be a better choice for older, more delicate architecture. It’s worth noting that integrated solar panels are usually around 5-10% less efficient at generating energy than on-roof solar panels. This is because on-roof panels have a gap between the panel and roof tiles which allows air to circulate, keeping the panels at a lower temperature. Integrated panels don’t have this ventilation and so are operating at higher temperature. While retrofitting integrated solar panels into an existing roof is possible, this is a more complex and potentially costly installation than on-roof panels. GB Sol is a Wales based solar manufacturer with 20 years of solar expertise and an award winning product called RIS (Roof Integrated System). It is ideal for full or part roof systems, is fully tested by the BRE (Building Research Establishment) and MCS accredited. GB Sol specialise in bespoke solar projects and also offer solar PV slates for complete roof replacements. Solarcentury was founded back in 1998 and today is an international leader in the solar industry. Solarcentury used to produce solar roof tiles for a complete roof replacement but now offer the Sunstation Built-in Plus as their integrated option. The company has also partnered with IKEA offering a roof integrated and fully customised 6 panel solar package. Trading since 1943 in the north of England, Romag was originally a bespoke glass solutions supplier. Today the company manufactures and exports its products in architectural, security and transport glass as well as solar PV. Romag Roof Integrated Solar panels replace a section of the roof alongside all types of covering, including slate, clay and concrete interlocking tiles or as a ‘whole roof’ solution. There are 4 sizes to choose from and they are particularly well suited to new builds or re-roofing as it is attached straight to the roof battens. Redland is part of the BMI (Braas Monier and Icopal) group which is Europe’s largest manufacturer of flat and pitched roofing and waterproofing solutions. Redland itself can trace its history back to 1919 and today the company’s head office his based in West Sussex but has 6 distribution sites across the UK. In addition to a wide range of roofing materials and supplies Redland also manufacture solar panels which provide clean, solar electricity generation and a secure roof covering including the InDaX integrated solar system. GSE Integration is a product range by a French solar company, SVH Energie. The GSE In-Roof System dominates over 60% of the market share of residential installations in France. The company aim to produce photovoltaic panels that are simple, lightweight, watertight and inexpensive. The GSE In-Roof can be easily fitted on all roof types with pitches between 12° to 50° and in small or large formations. The materials used in the system are also 100% recyclable. How Much Does Roof Integrated Solar Cost? The cost of integrated solar is comparable to traditional on-roof solar installation, but it is difficult to estimate as there are so many factors to consider e.g. whether it’s a new build or retrofit, how much energy you need the panels to generate, which manufacturer you choose. Manufacturers usually don’t publish prices as each installation is so unique. The exception to this is IKEA selling Solarcentury’s Built-In Plus; this 6 panel system is listed on their website as costing £5,250. 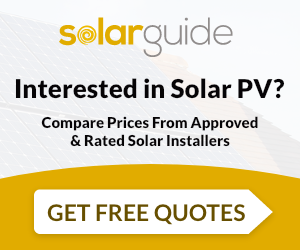 To get a competitive deal on your solar quotes send us an enquiry today. We’ll find you up to 3 MCS accredited solar installers in your area. Each will provide you with a recommendation for the best solution for your home at a competitive price. What are Solar Panel Roof Tiles?